Do you know how long an elephant carries her baby? 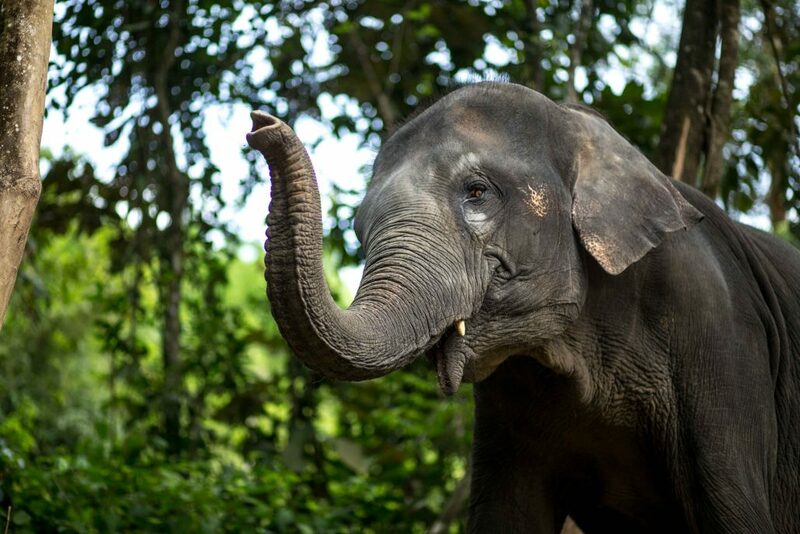 Well, Asian elephants have a gestation period of between 18 and 22 months – the longest of any animal. The young calves often nurse for 2 to 4 years, as you may have seen with our lovely Tan Waa, who is just coming up to his second birthday. We now have some very special news in that the Park’s favourite girl, Tangthai, will shortly give birth to her first baby. The father is our very handsome young man, Baramee – and you can see a short video of Baramee and Tangthai courting together in our pool if you check our website (click on Gallery and Video Gallery and scroll down to the last video). Now don’t you find it quite amazing that a baby elephant survives for so long in the womb? It is so unusual but scientists have discovered that a quirk of biology allows the unborn calf to develop for almost 2 years in order to give it the brain power it needs to survive from birth. Elephants are highly sociable mammals with a high level of intelligence similar to that of great apes and dolphins. So, calves are born with an advanced level of brain development, which they use to recognise the complex social structure of the herd and to feed themselves with their incredibly dextrous trunks. Dr Imke Lueders, of the Liebniz Institute of Zoo and Wildlife Research in Berlin, and her colleagues used advanced ultrasound methods to give vets valuable information to monitor elephant pregnancies in more detail, as they seek to improve breeding programmes. The group reported that the extended pregnancy was “due to a novel hormonal mechanism, which has not been described in any other species of animal”. Ovulation is triggered by two surges of a reproductive hormone, called luteinising hormone, while the pregnancy is maintained by hormones secreted by several ovarian bodies called corpora lutea (Latin for ‘yellow bodies’). You can read the scientific report in full on line (http://rspb.royalsocietypublishing.org/content/279/1743/3687). Apart from the long gestation, elephants also have a very long interval between calves (often 4 or 5 years or even more). The gap between generations of elephants is also lengthy (average 20+ years). All of these factors complicate efforts to manage populations of endangered elephants. 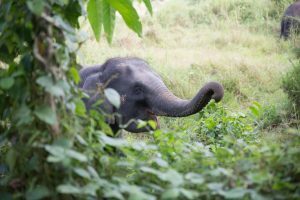 The work by the scientists in Berlin has extended knowledge and will help conservation efforts to help elephants in the wild, as well as in Parks like Phang Nga Elephant Park. We will keep you posted about Tangthai’s pregnancy. We expect the baby around March or April 2018, but, as with human babies, we may be kept waiting. But, don’t forget to book in now to come and see us next year to meet the new arrival! !